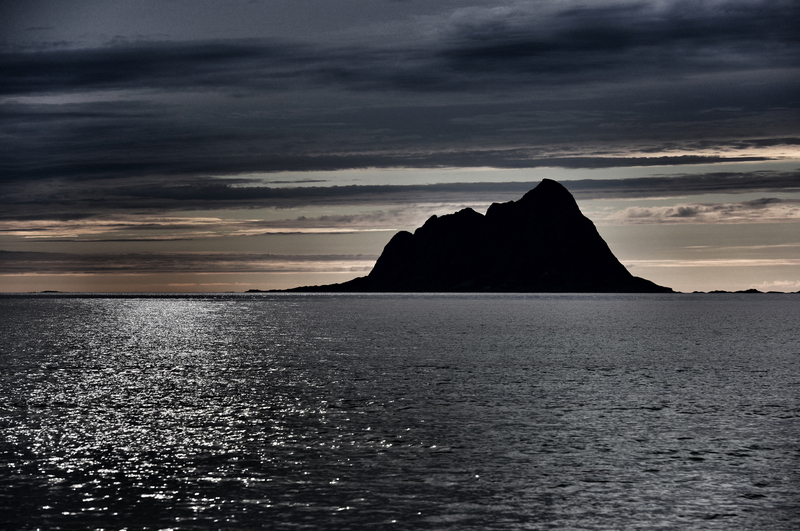 The mystic island of Sørfugløya becomes a sort of friend accompanying us on the way for several days. We have many nick names for this island but mostly it reminds us of King Kong’s island. With its spectacular pyramid shape standing out in the Norwegian Sea it feels like something from a dream. The island is one of the most important bird sanctuaries in Scandinavia. In the early summer months, tens of thousands of puffins, razorbills and guillemots gather here to nest and rear their young ones, enjoying the warmth of the arctic sun.